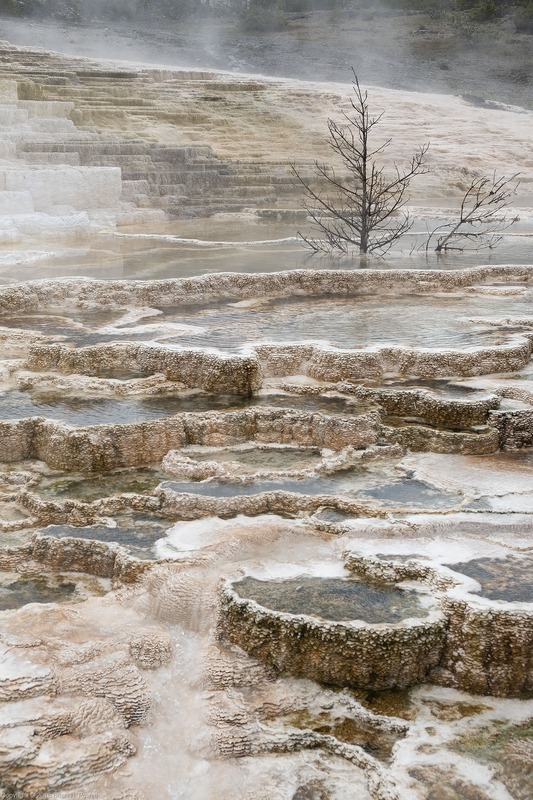 It’s so surreal to see the steam rising from the various pools and geysers. By late afternoon, I finally arrived in Canyon Village, and checked into the lodge. It was still rainy and overcast, but I ventured on to see the canyon that gives the park its name. 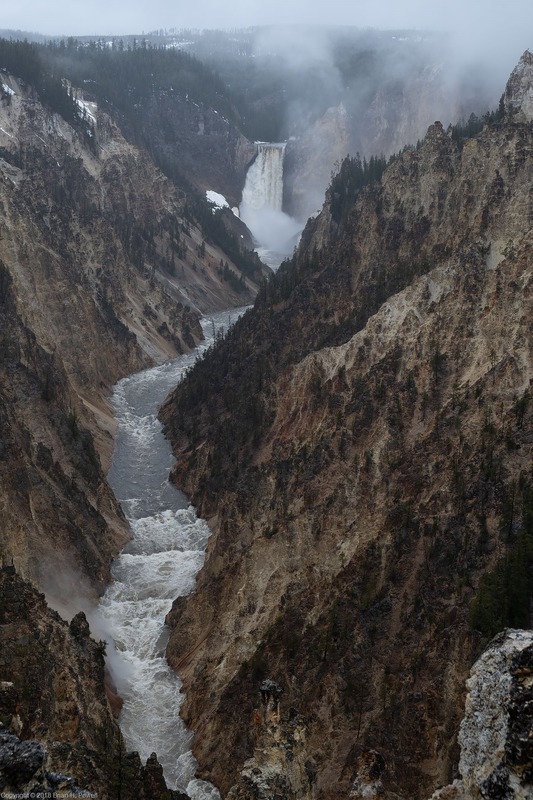 Here, you see the Lower Falls of the Yellowstone River, as it flows into the Grand Canyon of the Yellowstone. 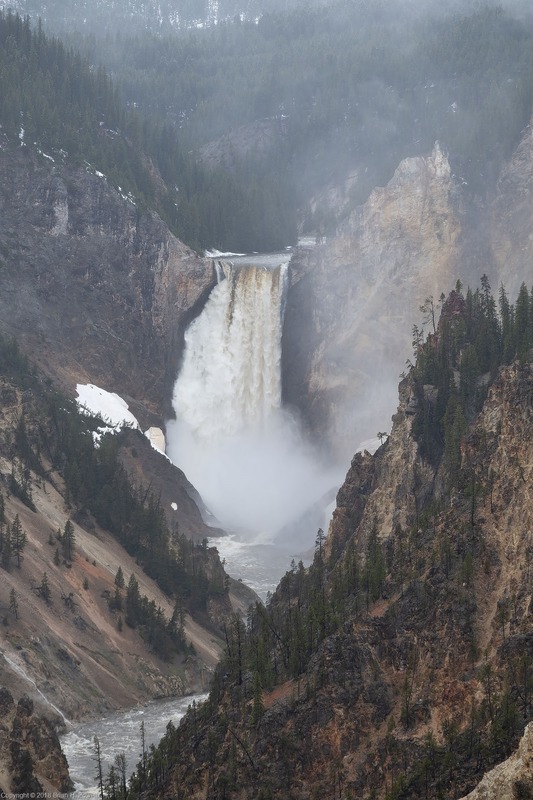 If you go to Yellowstone, don’t do what I did and visit for only a couple of days. Spend a week. 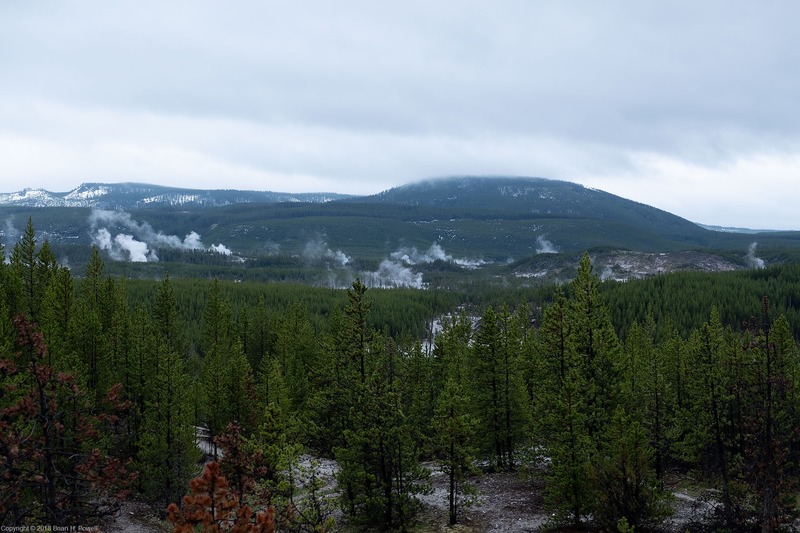 I’ve been to Yellowstone before, so I didn’t feel obligated to “visit everything” on this trip. I’ll hopefully return again soon and spend more time. Day two dawned with expectations of more of the poor weather from the previous day. Fortunately, it was slightly better than that. It was mostly cloudy, and the rain that fell only lasted for a short time. 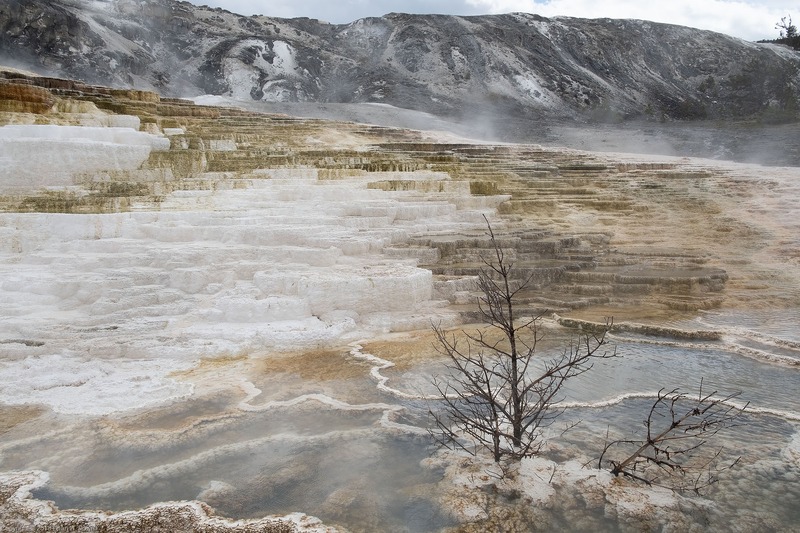 I continued north on day two, past Mammoth Hot Springs, and then east to the Lamar Valley. (The direct road was not yet open for the season.) The Lamar Valley is known for its wildlife (and wolf pack, which I did not see). My next post will include the wildlife. 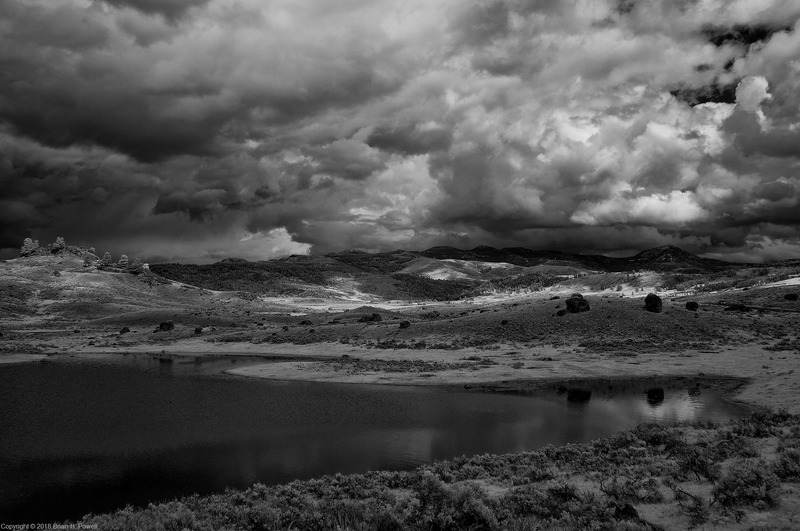 Here’s an infrared photo of the view towards a brooding storm over the Abasaroka Range, the tallest peaks in the park. 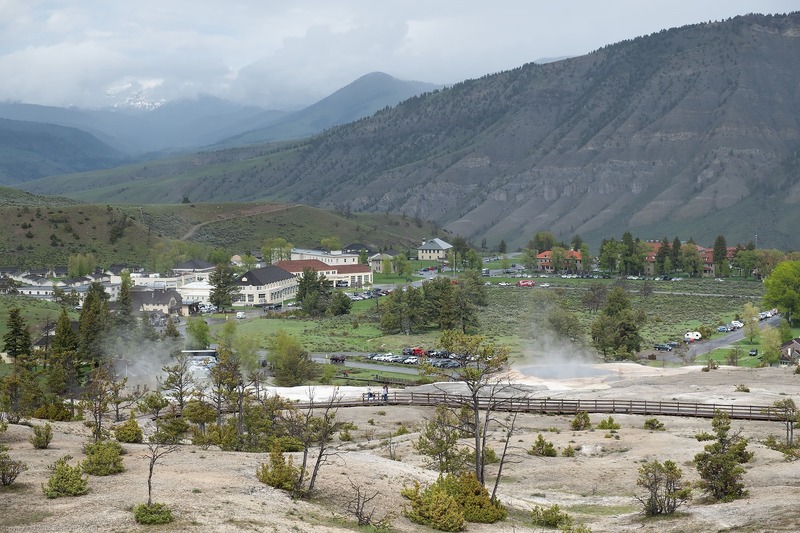 As I returned to Canyon, I stopped at Mammoth Hot Springs (the park headquarters) and walked around the springs. Here’s the view of the hotel and headquarters area of Mammoth. The red-roofed buildings on the right are the old US Army fort.